The two astronauts who were supposed to perform the first all-female spacewalk have spoken out about the altered plans, saying it was just a matter of efficiency. 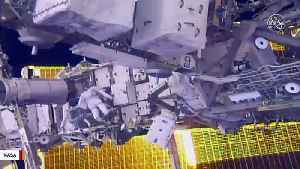 ▶ Videos for "All Female Spacewalk"
Anne McClain explains the decision to cancel the first all-female spacewalk. 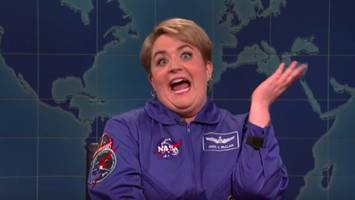 Hillary Clinton has weighed in on NASA canceling the all-female spacewalk. NASA’s first all-female spacewalk just got canceled because there aren’t enough spacesuits that fit. NASA has issued a clarification after criticism over its decision to cancel the first all-female spacewalk. 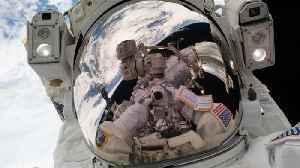 According to a report by Mother Nature Network, on Monday, NASA announced that the highly anticipated first all-female spacewalk has been cancelled, claiming that the International Space Station is not..
NASA astronauts Anne McClain and Christina Koch were set to make history as the first all-female crew to conduct a spacewalk at the International Space Station, but it was announced on Monday that the..
NASA called off what would have been the first ever all-female spacewalk due to a gear shortage. 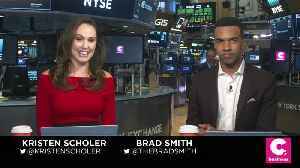 Cheddar's Kristen Scholer and Brad Smith discuss. 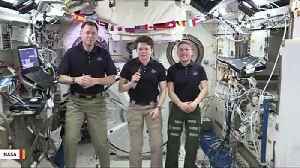 The agency says there&apos;s not enough prepared spacesuits on the International Space Station that&apos;ll fit astronauts Christina Koch and Anne McClain. 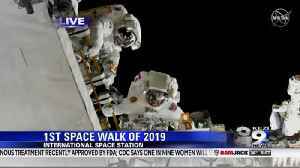 What should have been a giant leap for womankind has turned into a stumble on the path to equality after U.S. space agency NASA cancelled the first all-female spacewalk due to a lack of a spacesuit in.. 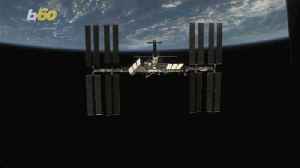 The agency says there's not enough prepared spacesuits on the International Space Station that'll fit astronauts Christina Koch and Anne McClain. 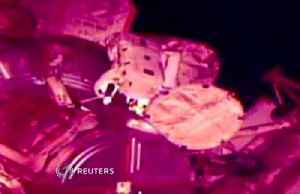 Astronauts replace batteries on International Space Station. 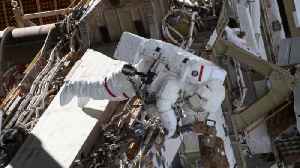 NASA astronauts Anne McClain and Nick Hague began their first ever spacewalks on Friday, venturing outside the International Space Station to replace old batteries and upgrade the space station's power.. The first all-female spacewalk is scheduled to occur on March 29 outside the International Space Station. 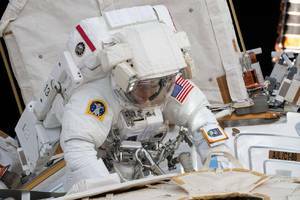 NASA's historic all-female spacewalk has been indefinitely postponed. The reason? 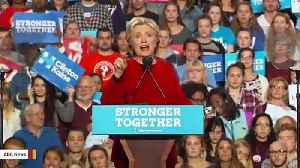 They couldn’t reconfigure a spacesuit for one of the female astronauts at the last minute. 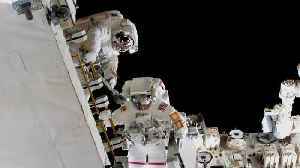 Read more... More..
Two NASA astronauts have ventured outside the International Space Station, although plans for the first all-female spacewalk had to be scrapped. This morning, two astronauts will suit up and head outside the International Space Station for a spacewalk — but the duo isn’t exactly the one the world was hoping for. 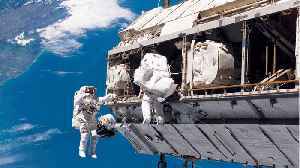 Originally, NASA had..
History was supposed to be made on Friday with the first all-female spacewalk at the International Space Station. 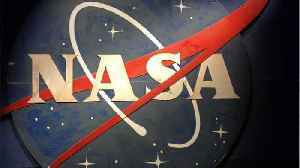 On Monday, Nasa announced it was scrapping that plan because it didn't have enough..
Astronauts Anne McClain and Christina Koch were to make landmark history, but NASA canceled it keeping their safety in mind before anything else. 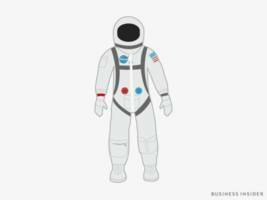 Nasa does not have enough right-sized spacesuits for a planned all-female spacewalk, so a man will step in. 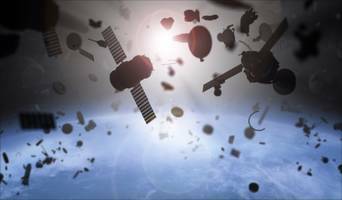 In case you needed any evidence that we're still living in a world that's built for men, you need look no further than this week's news that an historic all-female spacewalk has been cancelled due to a..
· India launched a missile into space on Wednesday morning that intentionally destroyed one of its own satellites. 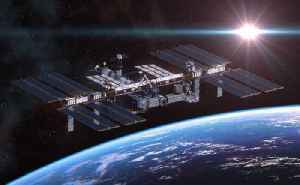 · The anti-satellite missile test, known as "Mission Shakti," created a field of..
NASA is responding to criticism after announcing the first-ever all-female spacewalk will not happen this week because only one appropriately sized spacesuit is ready. 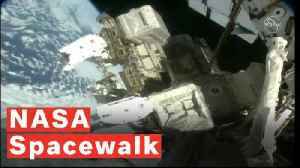 Astronauts Anne McClain and..
A historic spacewalk with two female astronauts has been postponed. 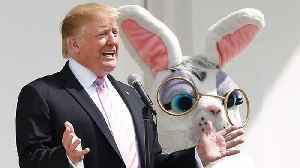 But some aren't happy with the reason given. 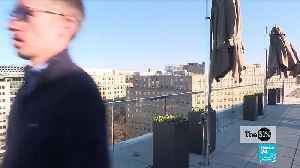 Janet Shamlian explains. 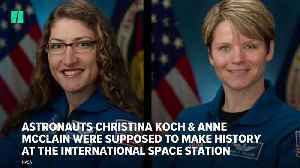 On Monday, NASA announced female astronauts Anne McClain and Christina Koch would not conduct this Friday's spacewalk together. Nasa has aborted its first all-female spacewalk outside the International Space Station because there are not enough spacesuits of the best size to fit both female astronauts, the agency..
History was set to be made on Friday when NASA planned to send two astronauts on the first-ever all-female spacewalk, but a simple wardrobe issue grounded the plans for the high-tech achievement. 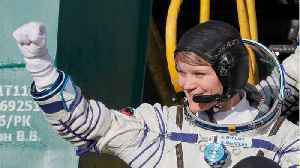 It..
Space Sub The first all-female spacewalk will have to wait. 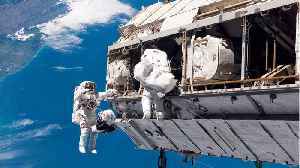 Earlier this month, NASA confirmed that an International Space Station spacewalk scheduled for March 29 would be the first to feature only..
· NASA gave astronauts their first operational spacesuits in the early 1960s. Since then, the designs have evolved considerably. 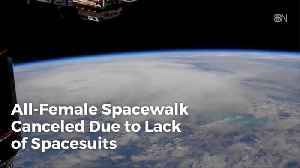 · Recently, astronaut Anne McClain encountered an issue with a suit..
Two female astronauts were scheduled to perform the first all-female spacewalk March 29, but there weren't enough spacesuits in women's sizes. 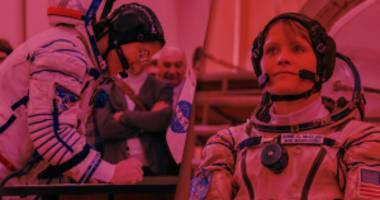 What should have been a giant leap for womankind has turned into a stumble on the path to equality after U.S. space agency NASA made a personnel change to what would have been the first all-female..